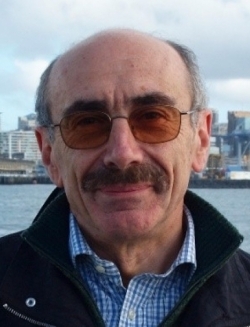 Biography: Giordano has a degree in Electronic Telecom Engineering from Pavia University. Prior to his current role he was R&D and engineering director at Ansaldo Sistemi Industriali, where he devoted most of his time to the development of solutions and products for static conversion of electric energy and for electric power drive systems in the industrial, transportation, energy production and energy distribution fields. Recently he was responsible for projects for smart micro-grid, energy storage, renewable energy and hybrid propulsion systems. Synopsis: Energy storage systems (ESS) are penetrating the field of marine power systems, driven by improvement in performance, better efficiency, fuel saving, and containment of pollution and emissions. Two applications are discussed. First, the ESS as part of a new grid in DC for onboard electric power distribution. Second, the ESS used for retrofitting existing onboard AC grids. The paper shows the architecture and explains the benefits of these two solutions for medium/small ships such as tugs and ferries. Biography: Ricardo currently works as a project officer/naval architect in the marine environment and capacity building unit at the European Maritime Safety Agency. 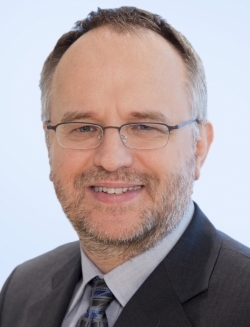 He is responsible for technical and scientific support to the European Commission and EU Member States on the specific matters of alternative sustainable energy systems for ships, and clean power and abatement systems. He is currently engaged in research of net-zero emissions in maritime transport through multi-objective optimization in concept ship design. Synopsis: The objective of the EMSA study on electrical storage for ships, resulting from close cooperation with DNV-GL, was to draw an updated state of the art in current marine battery systems for all-electric or hybrid ship powering applications. In addition to a battery technology overview, the study includes a summary of the main current ship projects with battery/hybridization applications, and a safety assessment for fuel cell-battery hybrid powering application. The study offers an instrument for better understanding of the available options with modern marine battery technologies in the context of overall environmental performance optimization in maritime transport. Biography: Faig holds a PhD in International Relations, and has had specialized technical training in shipping and energy market regulation. He has written several reports, opinion pieces and a peer-reviewed articles on regulating the shipping and aviation industry, as well as on EU energy policy. After a brief career in the natural gas industry, in 2016 Faig joined Transport & Environment, the Brussels-based environmental NGO, advocating sustainable transport policies in the EU and internationally. Faig’s main areas of expertise are air pollution and GHG emissions from the maritime sector, including design standards for new ships and zero-emission propulsion technologies and regulatory opportunities. Panel Discussion - Port Technology as a driver for the electrification of shipping. Biography: Madadh MacLaine is CEO of Zero Emissions Maritime Technology Ltd (ZEM-Tech) and founder of Zero Emissions Shipping Technology Association (ZESTAS). Madadh is also a founding member and on the executive committee of the International Windships Association. 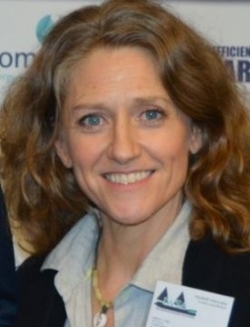 She has most recently worked in the hydrogen sector for ITM Power. 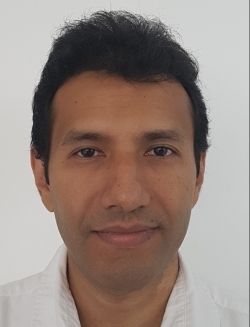 Biography: Dr Bruno Souza Carmo obtained a degree in Mechatronics from the University of São Paulo (2002), completed an MSc in Mechanical Engineering at the University of São Paulo (2005) and did his PhD in Aeronautics at Imperial College London (2009). 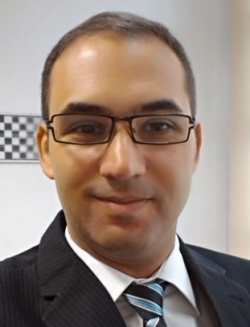 He joined the department of mechanical engineering at the University of São Paulo in 2010 and has been carrying out research as a member of the Centre For Dynamic and Fluids (NDF) since then. He has also been part of the Research Centre for Gas Innovation (RCGI) since its inception, working as deputy scientific director and coordinating four projects. Synopsis: We integrated electric and energetic models of hybrid power systems in the maritime mission simulator developed at the University of São Paulo. The model takes the dynamics of the power system into consideration in the simulation and can provide the efficiency, fuel consumption and emissions for a given mission. The system can be run in real time, with a complete interface with a pilot, or automatically, with pre-defined mission, weather and sea conditions, and pilot inputs. This simulator can be used as a testbed for different power system components and configurations, and as a valuable training and validation tool. Biography: Dr Joseph Pratt serves as CEO and CTO of Golden Gate Zero Emission Marine (GGZEM). 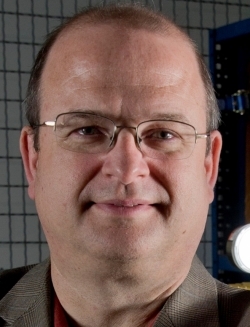 He is a world-leading expert in zero-emission hydrogen fuel cell maritime technology, with over 20 years’ experience in hydrogen fuel cells including eight years at Sandia National Laboratories. 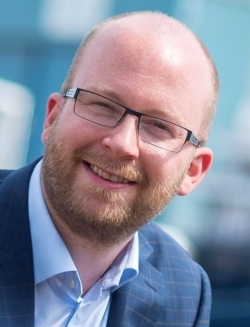 His new company GGZEM produces fuel-cell-based marine power systems that have a lower total cost of ownership than diesel, give true 'forever compliance' with environmental regulations, achieve zero emissions while maintaining the familiar flexibility of diesel power, and can increase operator revenue. Synopsis: When it is launched in fall 2019, the Water-Go-Round will be the first commercial, USCG-inspected hydrogen fuel cell electric vessel in North America. The Water-Go-Round concept was started over four years ago with the first SF-BREEZE study. This presentation will describe the path to the Water-Go-Round and give unique insights into the vessel's design and up-to-date construction progress. 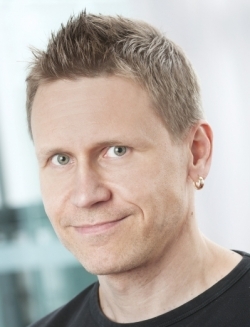 Biography: Matti has a Masters degree in Electrical Engineering from Helsinki University of Technology. He joined ABB for the first time in 1989 as Design Engineer and Project Manager in Rotating Electric Machines, before starting at DNV as Electrical Surveyor. In 1999, Matti rejoined ABB, where he has since worked in a wide range of roles including technical sales support, R&D, technology management and engineering management for ABB Marine & Ports. Synopsis: Hybrid and full electric power systems are increasingly popular in smaller coastal and river vessels. With limited space available onboard, the power system needs to be highly compact, robust and reliable. To answer these needs ABB has developed a fully integrated power system unit packed into a compact size enclosure housing, consisting of drives for power generation, shore connection, battery energy storage, propulsion- and other motor drives, AC-network supply as well as an integrated control system. The self-served unit can sit freely in the engine room, and the DC distribution allows adding fuel cells or other energy sources later on. Biography: Sami is a senior principal engineer in technology development at ABB Marine & Ports. 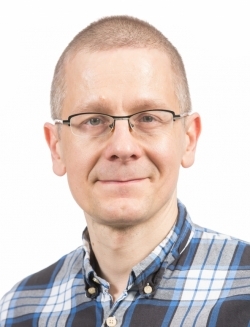 He received a science doctorate from Helsinki University of Technology in 2005 and since then has intensively worked on technology concepts for renewable energy and marine technology. Synopsis: In 2018 ABB and Ballard Power Systems announced their collaboration to jointly develop zero-emission fuel cell powerplant for shipping. Fuel cell systems can have various applications for vessels, such as providing power for a ship’s hotel operations during the time of docking, or for powering the propulsion when ships are at sea. With an electrical generating capacity of 1MW and above, the new system will fit within a single module complying with relevant marine regulations and being no bigger than traditional marine engines. Biography: Roberto Bernacchi, global product manager for shore-to-ship power and smart ports at ABB Power Grids' grid integration business unit, is one of the most experienced professionals in electrification solutions for green and sustainable ports. During his 10-year career at ABB he has been a key person in developing static frequency converter-based innovative solutions for various applications: from shore-to-ship power to battery energy storage and power quality systems. 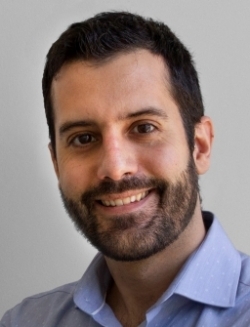 Roberto joined ABB as area sales manager for the power conversion business, and has held various sales and business development roles since then. 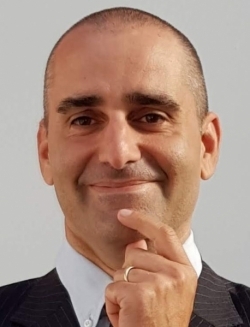 He has a master's degree in Electronics Engineering from Politecnico di Milano, and is now responsible for solution development and portfolio management for ABB sustainable transportation solutions in ports. Synopsis: The International Maritime Organization (IMO) has clearly recognized that reducing greenhouse gas (GHG) emissions is key to avoiding negative impacts on climate coming from the shipping sector. Elsewhere, the European Sea Ports Organization (ESPO) has confirmed that air quality in ports is priority number one. This is all paving the way for the development of the most efficient emission reduction technologies to be implemented on board and on shore. In this new scenario, electric and hybrid vessels are becoming reality, starting from short sea shipping routes where onboard batteries can be charged easily during port stopovers. While vessels are sailing toward a zero-emission future, ports are doing the same on land. Zero-emission terminals are now a reality, and the integration of e-mobility solutions into the port electrical grid means new technical challenges: how to make sure that, in addition to the standard electrical consumers – such as cranes, warehouses and buildings – electrical trucks, vehicles and vessels are receiving reliable power supply to achieve smooth 24/7 operation of the terminal? ABB is a pioneer in sustainable solutions for electrification, and the ultimate goal of its shore-to-ship power and smart ports is to facilitate the transition of the port concept: from traditional (a place of transit of people and goods) to modern and sustainable (totally integrated with the surrounding community). Biography: Tomoaki graduated from Keio University in Tokyo, and holds a bachelor's degree in Commerce. He also studied at the Institute for Strategic Leadership in Tokyo. He joined Mitsui O.S.K. Lines Ltd in 1992, where he developed his career in shipping, including the container business for nine years and the tanker business for 14 years. 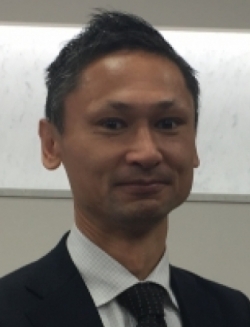 He is now general manager of the corporate planning division at Asahi Tanker Co Ltd, which is one of the MOL group companies and a leading domestic tanker operator in Japan. Synopsis: Asahi Tanker Co Ltd, together with its partner Exeno-Yamamizu Corporation Tokyo, has jointly developed a new domestic shipping tanker design that incorporates zero-emission electric propulsion. Commercial model development of the “e5” design is underway for all bunker supply vessels trading in Tokyo Bay. The first vessel launch is set for the first half of 2021. The project is also working to create “e5” coastal vessels, which would require a longer cruising range. The “e5” concept creates solutions to issues such as shortage of crews, vessel demand balance and environmental regulation, thus contributing to the sustainability of the domestic shipping industry. Biography: Robert graduated in Mechanical Engineering & Business Economics at Graz University of Technology. He joined AVL in 1997 as a development engineer for thermodynamic analysis and was in charge of advanced thermodynamic cycle simulation and engine testbed analysis. He continued as a project manager for industry and R&D projects. 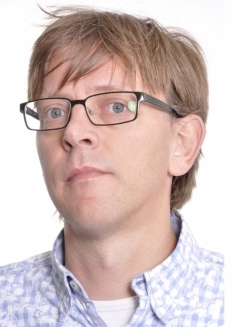 Since 2008 he has contributed to the introduction of model-based development approaches in AVL’s development process, with special focus on physics-based real-time engine models. At present, Robert is lead engineer for real-time and system simulation in AVL’s Development Large Engines business unit. With his team he deals, among other things, with the specification and optimisation of electric and hybrid systems for marine applications. Synopsis: Increased system complexity of hybrid applications demands new development approaches regarding optimization of maritime systems as well as for the classification process for vessels. Advanced co-simulation of entire vessels supports the component specification of energy and propulsion systems and the optimization of operating strategies, and facilitates lifecycle investigations and economic analysis. The multi-domain system simulation for a multi-purpose vessel is demonstrated for the evaluation of fuel-saving potential under consideration of an energy-storage system, and for the specification of the cell type of the batteries for given power requirements, by applying consistent plant modeling with an open and integrative co-simulation platform. 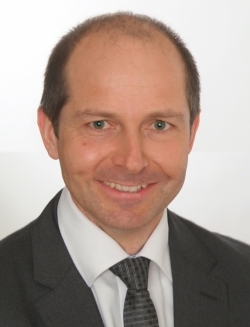 Biography: Adrian is a senior researcher at Fraunhofer ISE. 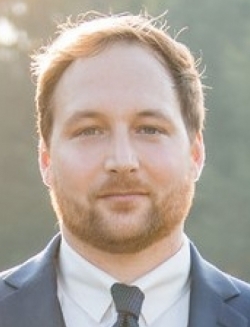 He has studied computer science and has six years' experience in the Center for Energy Storage Technologies and Systems at Fraunhofer ISE in Freiburg, Germany. His main research topics are battery testing, battery aging investigation and prediction, and post-mortem analysis. Synopsis: Fuel cells and batteries are competing technologies when electrifying the maritime business. But they should not be. Researchers of Fraunhofer ISE from the Center for Energy Storage Technologies and Systems are showing the characteristics of both technologies and compare them with each other. A brief introduction into the different types of batteries and fuel cells will be given focusing on the most widely used chemistries. Optimal use of each technology is shown for different types of applications. This takes into account the given space and weight constraints of a vessel, typical duty cycles as well as possible fuel or electricity supply chains. Biography: Sander has been working as a drive and control specialist in the marine and offshore world for over 20 years. He started with a main focus on hydraulic drive systems for large offshore systems, followed by working as a project engineer for complete drive and control systems prior to becoming a specialist for a large variety of marine and offshore applications within the Bosch Group. By following industry trends of electrification and energy savings, Sander is now also involved in implementing these new technologies within Bosch Rexroth and making use of available knowledge and developments within the Bosch Group. Synopsis: Offshore rigs and vessels can be seen as a remote microgrids. By making use of AI and cloud-connected energy management solutions, efficiency as well operational costs and environmental impact can be significantly reduced. The following functionalities can be implemented: energy transparency – remote monitoring, energy dashboard, report generation; cloud-connected energy management – adaptive control of the energy system, remote parameter adjustment; machine-learning-based energy management algorithm, continuous optimization of operational parameters, load and generation forecasts, blackout prediction. This presentation shows the results of the development and deployment of an intelligent microgrid. 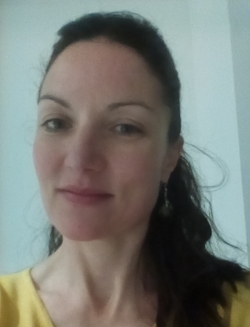 Biography: Annie has been a research associate at the Hellenic Institute of Transport for 15 years. She has participated in numerous research projects dealing with all modes of transport and with a focus on railway and maritime transport. Her main interest is in new technologies and how these could be used to facilitate the protection of the environment, as well as to make the everyday life of citizens easier and more environmentally conscious. Synopsis: E-Ferry is the first all-electric passenger and vehicles ferry able to sail distances longer than previously seen. It has been constructed using funding from the Horizon 2020 programme and will soon be put into operation in Denmark, connecting the island of Aero to the mainland. The presentation will deal with the evaluation methodology followed in order to assess the accomplishments of the E-Ferry. The evaluation includes four different aspects: technical evaluation, environmental evaluation, economic evaluation and societal evaluation. In addition to the methodology, the initial results will be presented. Biography: Laurens works in the sailing department of the City of Amsterdam. As a project manager for sustainability, he leads all the department's different projects in this area. He is responsible for policy, tenders, pilot projects and communication. Synopsis: The presentation will provide an introduction to the city of Amsterdam, and the projects and pilots currently underway there. It will also outline the city's goals for 2025 and how we are going to reach them. Biography: Sverre has an MSc in Electric Power Engineering from the Norwegian University of Science and Technology. He joined DNV GL in 2008, and has been responsible for developing the DNV GL class rules for battery-powered ships since 2011. In addition to class rules development, he works with approval of electrical installations on ship and offshore units. Synopsis: Energy storage solutions are developing quickly. Technologies like supercapacitors could be an alternative to traditional Li-ion batteries. This presentation will address the upcoming update of the DNV GL class rules for energy storage. It will include latest rule updates for Li-ion battery systems and introduce rules for electrochemical capacitor systems. The presentation will also look back at more than 150 battery/battery-hybrid vessel projects that have been classed by DNV GL in the last five years. Biography: Bert is owner of Valuad, a Belgian consultancy specializing in sustainable transport. 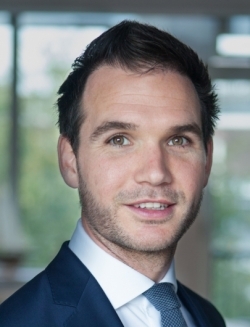 He is an in-house consultant at Fier BV (lead partner) involved in the EAFO (European Alternative Fuels Observatory) EU Commission project with a focus on biofuels and shipping. Bert is also operating agent for the IEA HEV Task 40 'CRM4EV' (Critical Raw Materials for Electric Vehicles). He spent four years as secretary general of AVERE, the European Association for Electromobility. As CEO, he has run businesses in wind energy, biomass, solar energy and sustainable waste management. 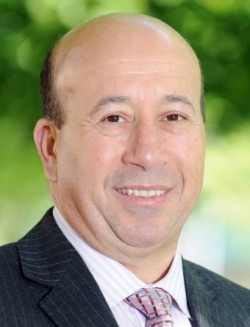 Bert has spent 20 years as a senior supply executive in multinational companies. Biography: Jeremy promoted and set up East By West Ferries, Wellington's iconic harbor ferry service, some 30 years ago to serve tourists and commuters. He has also managed transport and tourism businesses and currently provides marine transport consulting services to Australasia. 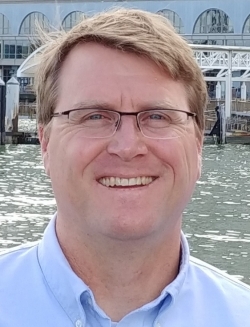 He has worked on various projects and advisory groups for Maritime NZ, the government regulator, and is currently a committee member (and immediate past president of NZ Marine Transport Association (10 years), representing over 100 marine transport operators in NZ including all major ferry operators. His current project is building and commissioning the first fully electric ferry in New Zealand. Synopsis: The Wellington Electric Boat Building Company (WEBB Co) is a newly established company focused on designing and building a new product, a first for the Southern Hemisphere: a 100% electric 135-passenger capacity 20-knot ferry for launch by Christmas 2019. WEBB is a subsidiary of East By West Ferries, for which it is commissioning this vessel to augment its existing two-ferry operation. The company draws on existing New Zealand experience in designing, developing and manufacturing high-energy-efficiency carbon-fiber catamaran hulls to which it will add electric drivetrain technology currently in use in the Northern Hemisphere. Biography: Kilian started sailing at a young age in the merchant marine. He earned a degree in Nautical Science from the Maritime Academy in Rostock, Germany, and is therefore a licensed Officer of the Watch. After a short period ashore, he started working at Reintjes GmbH as a sales engineer, where he was responsible for ferry and yacht applications and sales of hybrid systems. Since 2017 he has been the responsible person for EST Floattech BV in the German-speaking market. Kilian is fascinated by the history of shipbuilding, the commercial and private use of seagoing vessels, and the development of global commodity flows, which are directly linked to the evolution of ship design. Synopsis: A consortium of companies is building the first German hydrogen- and battery-powered pushing barge, which will transport Siemens wind turbines from Berlin to Hannover. The ELEKTRA anticipates the desire to make all Berlin's transport zero emission by 2050. Because the harbor basins lie directly adjacent to residential areas, noise is also a major issue: electric motors generate 70% less noise than the current diesel engines. The project also includes the challenge of providing a bunkering infrastructure. Biography: Ruud is an experienced consultant with a track record of projects in various sectors. With his background in engineering and policy analysis as well as economics, he enjoys aligning the perspectives of engineers and decision makers. 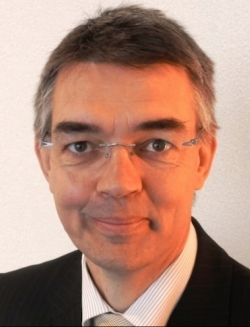 He has been involved in the introduction of electric vehicles in the Netherlands since the start in 2009. Currently he is working on several projects regarding the electrification of heavy-duty transportation such as buses, trucks and ships. Electric ships: who's in charge? Synopsis: Our triple-layered model for developing a sustainable charging network for e-ships requires that all aspects should be taken into account when forming an integral approach to transport, the grid and urban planning. Current characteristics and future objectives concerning all three layers need to be taken into account to secure an optimized strategy. The model is used to weigh the arguments of different stakeholders and to make informed decisions. Biography: Prasanna works as director of corporate strategy at Future Proof Shipping. The company is a network organization that provides zero-emissions marine transportation solutions. Prasanna is a strategy and innovation professional with international experience spanning the maritime, energy and apparel industries. 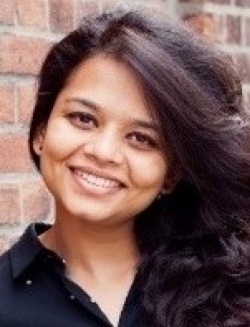 She is driven to develop concepts and business models that can create large-scale positive impact. Synopsis: Future Proof Shipping envisions a zero-emissions shipping world by 2040. We’d like to share our thoughts on the challenges facing the maritime industry and our views on what needs to change to usher in a zero-emissions shipping world in the timeline we envision. We realize this target is ambitious, but we believe that mapping out potential ways to achieve it is the first step toward actually getting there. Biography: Dr Makhlouf Benatmane BSc (Hons) PhD CEng FIMarEST FIET has extensive experience in electrical systems engineering in industrial and marine applications. He has been a university lecturer in power system design, electrical power station design and power electronics. He holds a PhD in Electrical Engineering from The University of Nottingham and a BSc (Hons). He is a Chartered Engineer, Fellow of The Institute of Engineering and Technology, Fellow of The Institute of Marine Engineering, Science & Technology. Synopsis: This paper will present an overview of energy storage systems and describe current capabilities in terms of kW and kWh, and considerations when integrating energy storage into marine vessels. Considerations will include types of applications, from high power, short duration to sustained power, long duration, and will describe the analysis required to optimize the energy storage asset and ensure adequate power system performance in terms of operational and common mode considerations when using pulse-width modulation (PWM) converters connected to battery or ultra-capacitor-based energy storage systems. Common mode effects will also be considered. 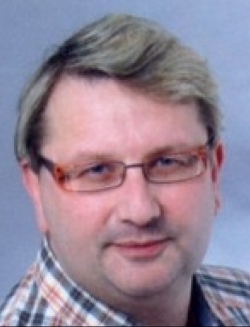 Biography: Klaus Lang Dipl.-Ing., studied telecommunications at the University of Dieburg. After graduation he joined Gould Instruments as product specialist for paper recorders, later digital data recorders. After the acquisition of Gould by Nicolet he took over product management responsibilities for the Nicolet transient recorders, and later also for digital storage oscilloscopes. After Nicolet became part of LDS, he was responsible for the product marketing of Nicolet DAQ systems, Dactron dynamic signal analyzers and LDS shakers. Since HBM acquired LDS in 2009, he has been business development manager for e-drive testing (testing inverter-driven electrical machines). Synopsis: Power measurements are challenging when it comes to complex hybrid or electric systems, consisting of various different components like multiple e-machines with three or more phases, gearboxes, inverters, batteries, and eventually a combustion engine. New approaches are needed to address these measurements, and at the same time other important signals like temperatures and vibrations need to be acquired and stored as well. The high voltages used in maritime e-drives are another challenge to be addressed. Biography: With 40 years in the marine, aviation and silicon chip industries, Graeme has an MSc in hybrid technology and three patents. Hybrid Marine has now been developing and manufacturing hybrid systems for 15 years. Graeme has a detailed understanding of the marine environment and has sailed an 8m boat from the UK to New Zealand. The first parallel hybrid was brought to market in 2007 (the first of its type) and Graeme has been developing improved systems ever since. Synopsis: Marine hybrid systems continue to find compelling applications in the commercial market. This presentation will detail a fleet of barges, the first of which came into service in spring 2018. Operating in central France, these 38m vessels provide scenic tours for 50 passengers. Operating from the battery bank alone, these craft provide a full day's operation in complete silence. Initially installed with a parallel/serial hybrid system, a pathway to eliminating diesel engines will be provided once shore-side charging infrastructure is better developed. The first vessel, Natalia, has been awarded the British Guild of Travel Writers award for best European project. Detailed system design and operating experience will be presented. Biography: Ivan has an executive MBA from the University of Basque Country, a master's in Project Management from the University of Basque Country, and a degree in Automation and Control Electronics Engineering from Deusto University. He joined Ingeteam Power Technology as an R&D engineer in 2006, focusing on control and regulation algorithms, and working on projects related to the design and development of medium-voltage and low-voltage variable-speed drives. 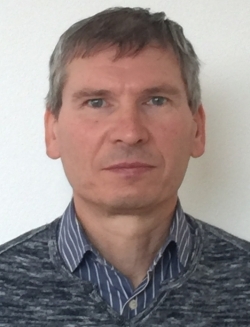 Since 2014 he has been control and regulation R&D department manager, working on new applications for hybrid vessels such as PTI/PTO control algorithms, synchronization algorithms for static frequency converters, load-sharing techniques between VSI and energy storage systems. Synopsis: Certification classes require that to be considered a primary generator and to reduce the number of DGs, a static frequency converter (SFC) must provide full discrimination for protection. Due to its semiconductors, an SFC is more limited and it is necessary to enable fast and efficient control of the output current to avoid tripping the protections of the converter. The purpose of this presentation is to analyze the different scenarios in which an SFC will provide short-circuit current. The response of the system to three-phase, two-phase and earth-phase short circuits will be analyzed. 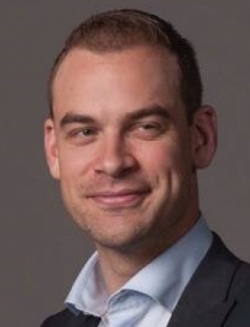 Biography: Daniel has been CEO of IPT Technology GmbH since the company was established in 2014. Before that, he gained 20 years' experience in industrial energy supply systems and was CEO of Conductix-Wampfler GmbH. 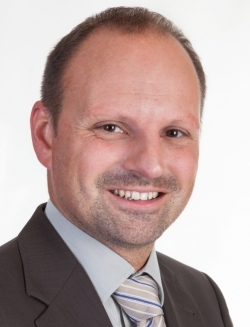 He supported the startup of IPT as a separate company and became CEO of IPT Technology GmbH in January 2014. Synopsis: Electric vessels are either equipped with large, heavy batteries to last through the day or are obliged to be plugged in during operation, resulting in downtime. Batteries take away space; cables and charge plugs face wear and tear. They are a hassle and a safety issue. However, electric vessels can be recharged inductively in a fully automated manner. Fewer batteries needed, no heavy plugs and cables to handle. Wireless inductive charging is unaffected by rain or snowfall. The presentation gives an insight into the technology and its unique features, and refers to a successful project implementing an inductive charging system for an electric ferry. 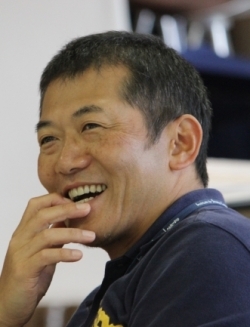 Biography: Tatsuya started as a mechanical engineer at Kawasaki, and worked on submarine and navy surface ship propulsion systems for 20 years. For the last seven years he has mainly been working on electric/hybrid propulsion development. Synopsis: Kawasaki is developing a new energy storage system that doesn't use Li-ion battery (LiB). Instead of LiB, Kawasaki is using Li-ion capacitor (LiC). This has quite different characteristics compared with LiB, so usage of this technology differs from conventional ones. A combination of LiB and LiC can also be considered. We will discuss this technology and its use in marine propulsion and powerplant. 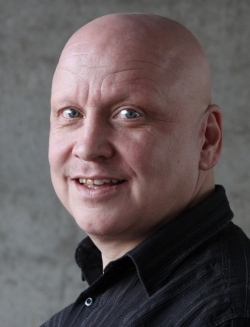 Biography: Harald Olai Myrlund has a master’s degree in Cybernetics and Industrial IT. He also holds a bachelor’s degree in Maritime Electrical and Automation. 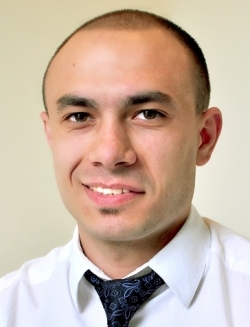 He is currently technical product manager at Kongsberg Maritime. He has experience from cruise vessels and has been engaged in developing and constructing several designs delivered as turnkey projects in the yard industry. Synopsis: Expedition cruise operator Hurtigruten is perceived as the world’s greenest cruise line, and several of the company’s ships are scheduled for major environmental upgrades. Converting from diesel to hybrid power systems – with new LNG engines running on a combination of LNG and biogas (LBG), combined with batteries and shore power connections – Hurtigruten is one step closer to its ultimate goal: operating completely emission free. The presentation will outline the process of converting the vessels to hybrid power systems. It will show how the vessels achieve an optimized power and propulsion system, and significantly reduce emissions. 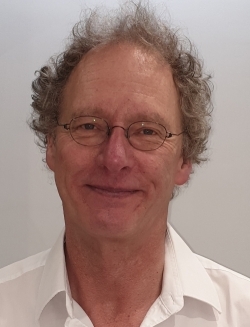 Biography: Dr Russel Marvin is an expert in motor design and CEO of LC Drives, which is using a novel cooling approach to produce PM motors that are half the size of the best motors in the world. Dr Marvin has published multiple IEEE papers on motor design and presented at IEMDC, ESTS and previous Electric & Hybrid Marine World Expos. He has a PhD from Clarkson University. Synopsis: LC Drives has completed testing of its in-slot cooled electric motor that is half the size of the next best in the world. This commercial product offers a significant space advantage compared with conventional high-performance permanent-magnet motors. This comparison will be shown, as well as how this technology scales to larger sizes required for direct-drive propulsion systems on large ships. Actual testing results will be shown compared with predicted values. 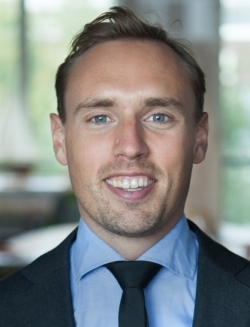 Biography: Sondre works as a consultant in DNV GL Maritime Advisory, focusing on battery and hybrid propulsion systems. He has worked worldwide with topics such as concept design, technical due diligence, market studies and project management within the maritime industry, lately focusing on feasibility studies of battery-hybrid propulsion systems. He is now moving back to Norway after an International Assignment in the United Arab Emirates. Sondre holds a M.Sc. degree in Naval Architecture, specialising in Marine Operations and Marine System Design and Logistics, from the Norwegian University of Science and Technology (NTNU). Synopsis: Marine batteries are seeing widespread adoption. But what is the real extent of this adoption? Few have seen the full picture. What does the uptake look like? How will it develop? In this presentation, Maritime Battery Forum provides an extensive briefing and the latest data on the uptake of batteries in the commercial maritime fleet, and some thoughts on the potential. Biography: Tobias studied industrial engineering at the University of Applied Sciences in Ravensburg-Weingarten and graduated as Dipl.-Wirt.-Ing. (FH). 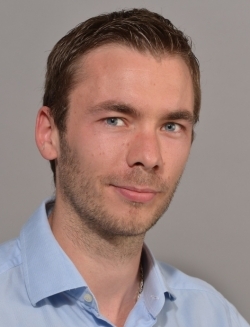 He joined MTU Friedrichshafen in 2007, starting as an application engineer for yacht propulsion and genset plants in the marine application department. After his work on several big mega-yacht projects, in 2011 he was certified as a Certified Project Manager IPMA Level C. In 2012 he assumed responsibility for a team of engineers dealing with propulsion system solutions and complex customized solutions for the yachting industry at MTU Friedrichshafen. 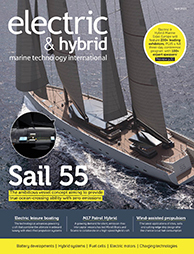 Synopsis: Electrification of propulsion has become one of the most common discussions in the marine industry. The main success factors are the comfort and performance of vessels, but also an optimized operation of conventional diesel engines. A main challenge is the development of a well-balanced and optimally sized installation. With the implementation of a hybrid system, the conventional separation between propulsion and onboard power generation is no longer valid, as both systems form an integrated power distribution network. Optimization of a complex power network in combination with an easy operation concept, including a user-friendly HMI, is of major importance. 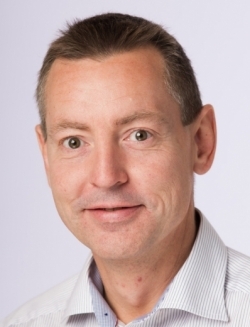 Biography: Roel is the commercial director of Nedstack Fuel Cell Technology in the Netherlands. He has an Engineering degree in Transport Studies and a Master's degree in Public Administration. As part of his workload, Roel acts as project coordinator for the Dutch FELMAR Maritime Fuel Cell Technology Project. Synopsis: Hydrogen fuel cells and batteries are becoming the technology mix for the zero-emission navigational future for a large share of the world's fleets. Ongoing industrialization projects such as FELMAR provide the much-needed market adaptation to allow for widespread market adoption. 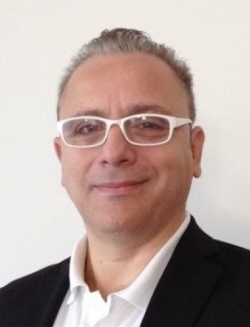 Biography: Massimo started his career as a start-up technician, software & firmware developer and field service manager. Thanks to his technician skills, he is often part of the teams involved in developing new solutions and innovative applications. Marine electrical and hybrid propulsion has been his main focus for the last 10 years, consolidating his leadership role in every phase of these projects. Synopsis: Marine batteries must be compact and highly reliable, but these characteristics are not the only key features. Achieving the best performance and enhancing reliability and longevity requires seamless integration between the battery and the control system. The BMS and the PMS must be able to interact in real time, which is why Nidec has developed a proprietary battery module for naval applications. With an innovative modular design with a power density of 124kWh per module, the assembly of large-capacity batteries is greatly simplified and the number of modules needed has been drastically reduced, offering significant space savings. Biography: Kolbjørn is project manager for NMA's work related to new energy carriers and alternative fuels. This involves coordinating all projects related to new technologies such as batteries, hydrogen and other low- or zero-emission fuels. He also works on other projects to implement other technologies for reducing emissions, which aren’t covered by prescriptive requirements. Part of his job involves presenting what we do in Norway to reduce our climate footprint, and how the solutions developed in Norway can contribute and how we as a regulator can facilitate implementation, at different international seminars. Kolbjørn has also given technical presentations on different technologies and future trends. Synopsis: Shipping needs to change; it has to change more in the next decade than it has done in the last three decades. No stone should be left unturned to find the best solutions to achieve sustainable shipping. Stricter environmental requirements both from regulatory bodies and customers will shape shipping in the future. Why should shipping change and what will it be like in the future? How can the authorities facilitate this change? Biography: Laurence is active in PersEE's business development activities as well as in the modeling works. She is also a partner in the Observatory of Innovation in Energy in France, where she focuses on smart grids and the circular economy. 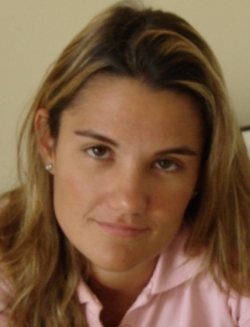 Laurence holds an MSc from Ecole Polytechnique - ParisTech (1997) and an MBA from Insead-Wharton (2006). Synopsis: In the MARANDA project, an emission-free, hydrogen-fueled, PEMFC-based hybrid powertrain system and 80kg hydrogen storage unit were developed for marine applications and validated both in test benches and on board the research vessel Aranda. This 165kW (2 x 82.5kW AC) fuel cell powertrain (hybridized with a battery) will provide power to the vessel's electrical equipment as well as the dynamic positioning during measurements, free from vibration, noise and air pollution. This presentation outlines the main issues in the system design and first experimental experiences, as well as the development needs of regulations, codes and standards (RCS) for maritime use of hydrogen fuel cells. In addition, the initial go-to-market strategy for hydrogen fuel cells in maritime use is presented. 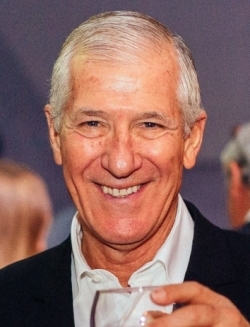 Biography: Following 23 years in the Israeli Navy, and retiring with the rank of Captain, Udi managed two publicly owned companies that built tourism infrastructure, including Israel's largest marina. He then started his own company, which specializes in innovative marine systems. A passionate yacht sailor and open-water swimmer (in 2014 he was part of a six-man team that broke the world record for the longest open-water relay swim, by swimming from Cyprus to Israel), his focus in recent years has been on clean energy for marine applications. Synopsis: Aluminum-air technology allows an energy density that surpasses conventional battery technologies, at much lower prices. Furthermore, unlike rechargeable batteries, the Al-air battery does not lose capacity when not in use, and does not degrade over time. The aluminum anode depletes only when producing electricity, eventually saturating the electrolyte. Both are easily replaced and the electrolyte is recyclable. Phinergy has already fielded its patented aluminum-air batteries in land applications and is now adapting the technology to marine applications. A zero-emission hybrid solution is proposed by combining an aluminum-air 20ft shipping container, charging up to 10MWh to onboard batteries. Biography: Jan studied management and transport at the Technical University of Twente in the Netherlands. He has been working for Port of Amsterdam for more than 20 years, in roles including manager strategy and manager marketing. At the moment he is innovation manager with a focus on digitization, transport and logistics. Biography: Kevin has expertise in energy management systems and renewable energy solutions. He has over 10 years' experience in energy management, with an emphasis on design and analysis of cost-effective and reliable energy solutions for commercial and industrial applications. He also has extensive research and industrial experience in electrical engineering and sustainable energy systems. 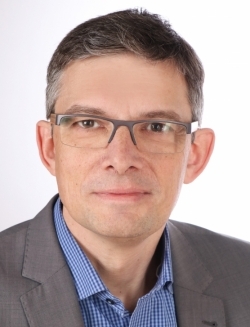 Biography: Since graduating as an electrical engineer with a focus on power electronics at the University of Applied Sciences in Dortmund in 1988/89, Wolfgang has been working with Siemens in Erlangen in various positions including development engineer, commodity manager, project manager and technical proposal manager. During this time, he has always been focused on drive systems within the metals, mining and compressor business and the offshore/marine business. In 2015 he became PLM for offshore/marine drive solutions. Since 2016 he has also been deeply focused on DC grid solutions. Synopsis: This presentation will describe and explain the design of Siemens’ SISHIP BlueDrive family of DC power solutions, including the increased flexibility, safety and reliability of power distribution, which they provide, and the easy integration of ESS, which they enable. There will be a specific view on fuel technology for fuel cell integration. Biography: Romain is a business developer for system simulation activities in the marine sector. He started his career in the Volvo AB Group in 2011 as control systems engineer. There, he developed and performed control algorithms verification. He also led several projects as engine starting system responsible and worked as a software developer using Agile methodology. In 2016 he joined Siemens PLM as business developer, where he supports customer success, sales training and technical marketing with Amesim capabilities. Romain received a Mechanical Engineering degree from ESTACA Paris and an MSc from IFP School. Synopsis: Offshore supply vessels are the workhorses of the offshore industry, carrying equipment and personnel to offshore structures as well as performing other duties such as firefighting. The load profile of each OSV allows the electrical and drive power generation to be adapted to optimize efficiency for its specific usage. In this work, fuel consumption and NOx emissions of an OSV with four possible propulsion architectures with varying degrees of electrification are compared using system simulation. Constant and rapidly varying stationary electrical and speed profiles are used to evaluate the architectures under ideal conditions before they are compared using six-day industrial load scenarios. 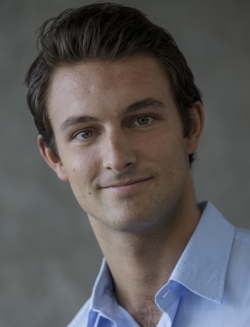 Biography: Matt Baker is currently the Director of Microgrids and Critical Power for Typhoon HIL, Inc. He contributes a wealth of operational and leadership experience to the team based on his service as a US Marine officer for 28 years. His business experience includes development and project management roles in start-ups focused on hybrid and renewable energy and model-based systems engineering. Matt is a graduate of US Naval Academy with a Master of Science in Aerospace Engineering from the University of Maryland. Synopsis: Model Based Systems Engineering has existed in many forms for years and in some cases, like 3D CADCAM for mechanical design, is the industry standard. However, a true modeling and simulation capability that can handle the fidelity / time step requirements of systems incorporating power electronics and controls has not existed -- until now. Controller Hardware in the Loop technology combined with FPGA based computing allows the design, development, commissioning and efficient operation of integrated power systems aboard hybrid vessels. Equally important, this technology enables the digital twin concept, artificial intelligence and machine learning. 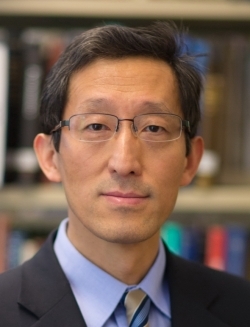 Biography: Zuomin Dong received his Ph.D. of Mechanical Engineering from the University at Buffalo, State University of New York in 1989, and immediately joined the faculty of University of Victoria. 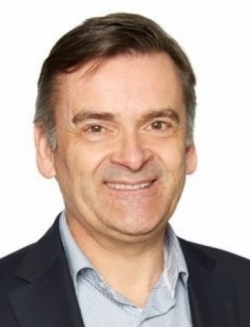 He is currently Professor and Chair of the Department of Mechanical Engineering at University of Victoria, a Professional Engineer registered in British Columbia, and a Fellow of CSME. Synopsis: This research compares four different types of vessel hull drag and propulsor thrust models used today and recently introduced in our work, including full-scale CFD simulations, reduced-order hydrodynamic models, low-order hydrodynamic models and generic parametric mathematical models. The different fidelity levels of these models, validated using vessel sea-trial data, and their diverse computation requirements are studied through case studies on the integrated modeling and optimization of hybrid-electric marine propulsion systems, as well as on the prediction and control of ship induced cavitation noise. Biography: Angelo has been working on the design of special boats and equipment for waste collection in the historic center of Venice since 1993. From 2001-2012 he directed the Veritas 'Ecoprogetto Venezia', aimed at the rational use of energy. He is engaged in designing and commissioning photovoltaic systems as well as co-generation systems fueled by biomass and natural gas. He also works on the design and management of a tri-generation plant feeding a district-heating network supplying residential and commercial buildings. Finally, he is engaged in the design of a test facility of renewable sources and technologies for electric mobility. Synopsis: The presentation discusses the design of two electrically powered waste-collection boats as part of two pilot projects in view of wide adoption to replace the present diesel-powered fleet servicing in Venice. Two alternative engine concepts have been developed: a hybrid biodiesel-electric drive and a full-electric one, built around a fuel cell. The rationale of the whole project is the environmental issue, in terms of noise and emission reduction and also minimization of the inboard fluids that can potentially evolve into a leakage. The designs can be transferred to other vessels servicing Venice as well as other water sites. 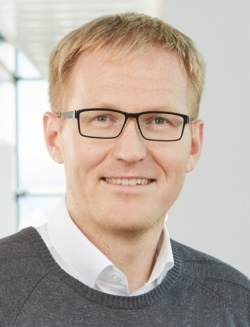 Biography: Jari has 21 years' experience in fuel cell R&D, mostly with PEMFC, but also with HT-PEM and DMFC in component, stack and system development. In recent years the major topic of interest for him has been hydrogen quality issues and use of hydrogen fuel cells in maritime applications.